Who doesn’t love a few fun facts on a Friday—especially when shoes are involved? We recently stumbled on some strange and interesting footwear trivia that was too good not to share. From the meaning behind your shoe dreams to the origins of the wedge, keep scrolling for 13 conversation-starting facts shoes, glorious shoes! 1. Sneaking around and sneakers go hand in hand. According to The New York Times, in the late 1800s, people started using the word sneakers because the rubber sole allowed you to “sneak” around without making a sound. 2. Shoe sizes began with barleycorn. In the early 1300s, Britain established the first means to measure shoe size. King Edward II declared barleycorn as the basis for shoe measurement. He ruled that the length of three barleycorns were equivalent to one inch, making this the standard for sizing. 3. Men were the first to wear heels. 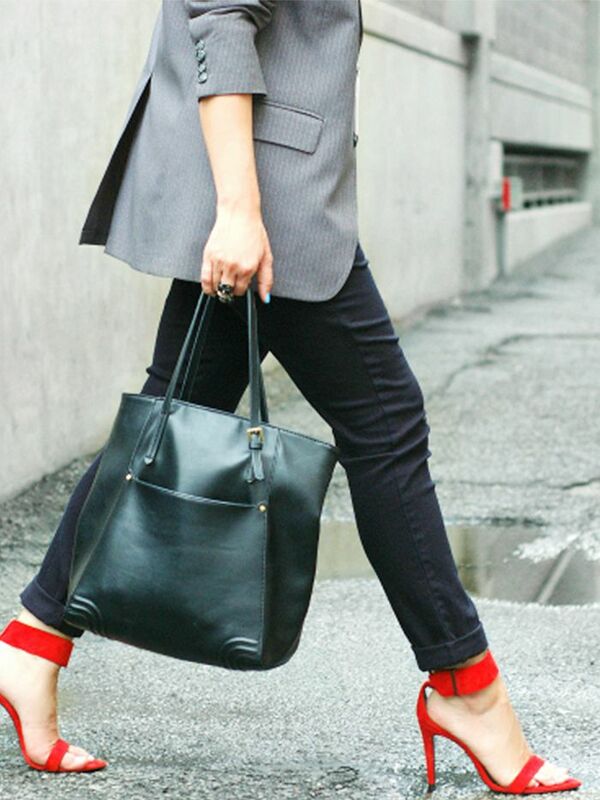 For centuries, heels signified a high social standing rather than gender. It was also crucial for men riding horses to have a heel on their boot in order to stay in their stirrups. 4. U.S. women own an average of 19 pairs of shoes. 5. The most expensive shoes ever sold for $660,000. Dorothy’s iconic ruby red slippers from ‘The Wizard of Oz’ naturally and rightfully so earn this top spot. The original pair sold at an auction in 2000. 6. The first pair of right- and left-footed shoes was made in Philadelphia. Ouch—can you image the pain before this brilliant modification? 7. Through an experiment, the wedge shoe was invented. Due to the trade close Italy experienced in the 1940s, steel was no longer available, so designer Salvatore Ferragamo experimented with new materials thus creating the wedge shoe. 8. Most people mispronounce Teva; it’s actually Tev-AH. Say it out loud, Tev-AH. 9. 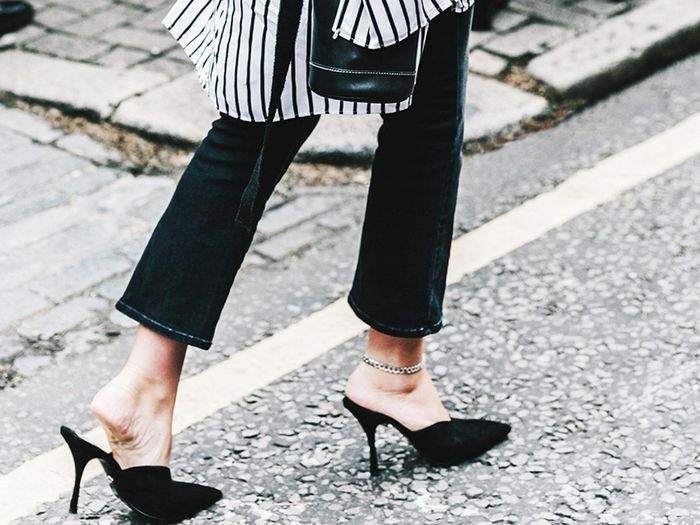 Science can explain your shoe addiction. Yes, buying those heels is totally justified, according to Suzanne Ferriss, PhD, editor of the book Footnotes: On Shoes. 10. Shoe dreams can represent your approach to life. Apparently, dreaming about shoes can signify whether you’re feeling well-grounded, or may indicate your level of self-esteem. Interesting, right? For more details about shoe dreams, head here. 11. The first lady’s boot was created for Queen Victoria in 1840. More than a century later and women still love the versatile style. 12. Jimmy Choo constructed his first pair of shoes at age 11. Talk about a go-getter! Head here to shop Jimmy Choo’s best sellers! 13. Carrie Bradshaw’s infamous shoe collection is estimated to cost more than $40,000. If we had to ballpark it, we would have guessed way higher, but this article reveals the real cost of Bradshaw’s beloved shoe collection. Which fun fact surprised you the most? Let us know in the comments below!